A&A Recycling Services Limited was established in the 1990s and operates facilities in Bentley and Meriden, located in the Midlands. These busy sites are two of several recycling facilities currently operating within the wider A.W. Jenkinson Group. 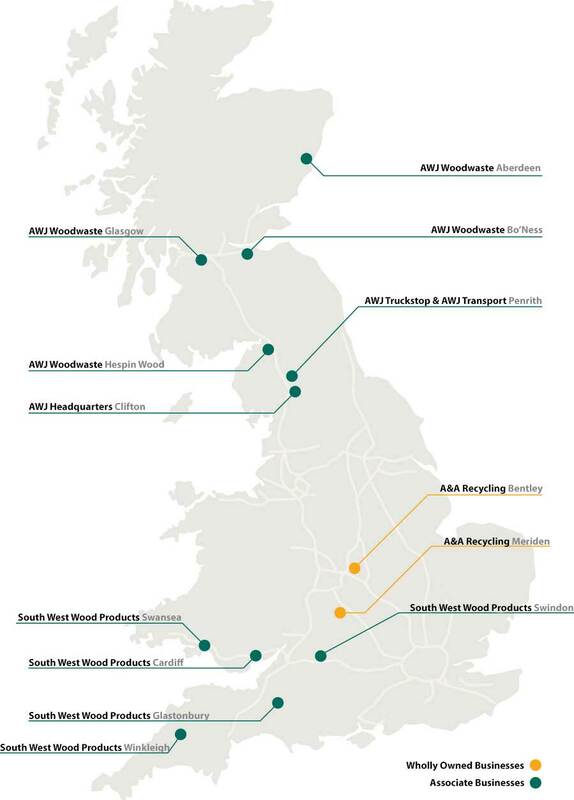 Located close to arterial transport routes, these businesses collect and process wood waste from a variety of industries including waste management companies, civic amenity centres, and commercial sectors. The Companies’ operations are centred on the processing of waste wood into products for the panel board and biomass fuel sectors. 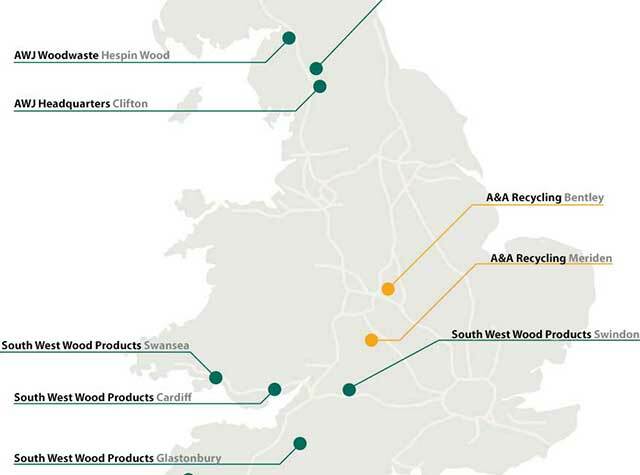 A&A Recycling can offer suppliers of wood waste the guarantee of a sustainable permitted outlet, ensuring the end destination of the products is reputable and contributes back into the economy. If you are interested in supplying us with your waste wood, we want to hear from you! A&A Recycling has multiple, long-term supply agreements in place, which will see the company grow significantly. We aim to work with like-minded businesses with a passion to take their waste in to the future as a valuable resource. We understand the need for our suppliers to ensure they have year-round, open gate service at competitive prices, and this is what we pride ourselves on. This is delivered to one of our sites in the Midlands or to one of our sister companies around the UK. Find your closest on the map to the right. The wood products are processed by utilising slow and high-speed shredders, ECS and various screening technologies to achieve the desired material. As a Company we are one of the largest wood recyclers in England, and as a group we handle over 800,000 tonnes of wood waste per annum. A & A Recycling Services Ltd.